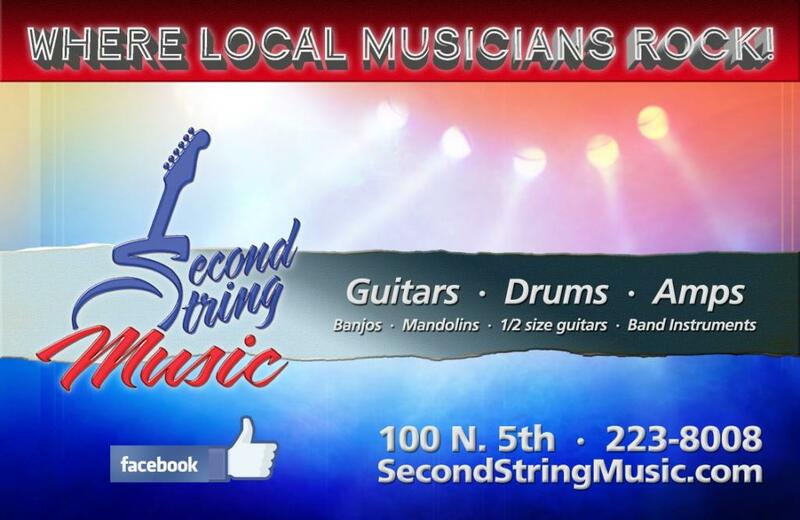 IN LESS THAN 10 days, Second String Music will be one of two music stores in Quincy. It's been a wild five-year ride and we continue to make plans for a bigger and better retail music store. It's never good to see another business shut down, we want businesses to succeed. Certainly we have to be ready, especially when it comes to school music supplies. Fortunately our partnership with Boyd Music in Jacksonville has really paid off and we are working together to make this coming up band instrument season a success. Sheryl and I don't talk about the competition. We do what we do, and the rest follows. We'd like to think if you come to Fifth and Maine, you'll be greeted when you walk in the door and we'll help you find what you are looking for, or just let your browse. Buying a guitar is a big thing, and there's no pressure from us, but we'll give you the info to make the right choice. There might not be a better feeling than seeing a happy musician walk out of here with a beautiful new guitar, banjo or amplifier. We are expanding our guitar line this year - we will be placing our first Gretsch guitar order soon. Our Breedlove, Takamine, Dean, Luna and Ibanez guitars continue to do well. We've had a run on harmonicas lately - the Hohner Marine Bands are popular. - Always greet the customer when they come in. Tucker and Angus do a good job for us! - Post store hours and keep them. Never close early, never, or just take a random day off. - Go the extra mile for loyal customers. If somebody calls us five minutes before we close and says they will be here in 10 minutes, we stay open and we'll wait. - Be consistent. We do have sales and deals, but we live by offering low everyday prices and getting as close to the Internet price as possible. And we follow up with service and advice after the sale, something the Internet will never do easily. - We listen to our customers. You learn a lot that way. We want to hear what you have to say or what you need to be successful. - Be involved. I volunteer a lot of hours planning downtown Quincy music events. Our Six String Heroes program continues to be popular. We support as many worthy endeavors as possible. So let the adventure continues at Fifth and Maine! Support local musicians, local music stores and local music venues.